We use a new technology called Vitalisteâ„¢ to reduce hair loss caused by hormonal, chemical and environmental attacks to the scalp. Vitalisteâ€™sâ„¢ all natural active ingredients balance the scalp by cleansing it, (opening up the hair follicles and bringing back the natural flora), increasing capillary action (blood flow) and increasing vital nutrients and moisture to the scalp. Other hormonal changes can also affect the scalp, like testosterone breaking down into DHT. It is believed that DHT builds up in the hair follicle and over time, the hair becomes thin and dies. When we were younger, we produced huge a mounts of testosterone during our teens and 20â€™s. 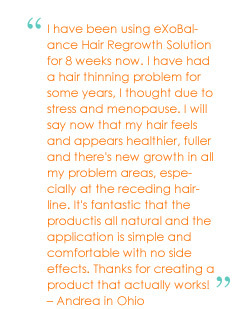 We did not lose our hair because our scalp was healthy and we could flush away the DHT through good circulation. When the scalp is healthy, it will have a balanced flora, good blood circulation, ample amounts of vital nutrients and moisture. During our life we experience trauma that throws off our defenses and the hair loss cycle begins. 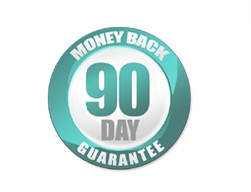 We have the technology to naturally reverse the hair loss cycle, bring back your hair and make it thicker. Hormonal imbalances that occur in women can include: puberty, pregnancy, menopause, postmenopausal trauma, or birth control. Studies have been done on young men that have been diagnosed with male pattern baldness. The study showed reduced blood circulation. Poor circulation causes vital nutrients on the scalp to deplete. This allows oil (sebum) build-up and causes skin cells to die. Over time, they will block the hair follicle pore. This restriction narrows the hair shaft causing you to have thinner hair and balding. If this not corrected, the hair shaft becomes complete restricted and the hair cannot grow. Hair Loss Cycle: this is the process in which the hair starts to thin and we begin to lose it. The cycle is the imbalance of the normal flora of the scalp. Also imbalanced is the reduction of circulation, vital nutrients and moisture to the scalp. Vitalisteâ„¢ is the natural product that reverses hair thinning and loss by bringing the imbalanced flora into its natural healthy state, and increases the blood circulation of the scalp by bringing blood flow back to the scalp and the hair follicles. With increased blood blow, vital nutrients, vitamins, minerals and anti-oxidants feed the scalp and hair follicle, drenching the scalp with moisture for continued hydration. 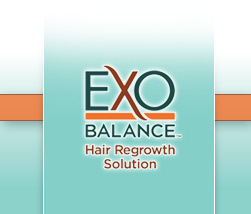 By recognizing the hair loss cycle, men and women can reverse it with ExoBalance Hair Regrowth Solution with Vitalisteâ„¢ and bring back their beautiful hair naturally.